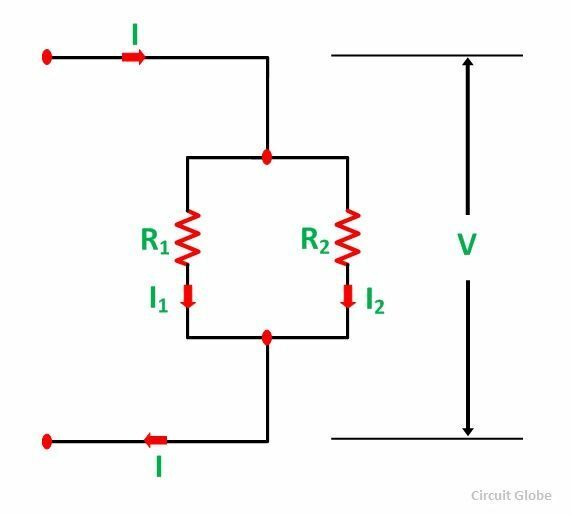 The current I has been divided into I1 and I2 in two parallel branches with the resistance R1 and R2 and V is the voltage drop across the resistance R1 and R2. Thus, in the current division rule, it is said that the current in any of the parallel branches is equal to the ratio of opposite branch resistance to the total resistance, multiplied by the total current. 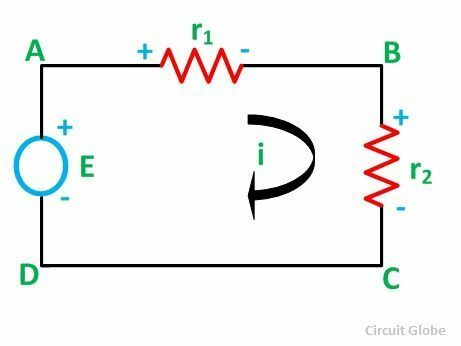 The voltage division rule can be understood by considering a series circuit shown below. In a series circuit, voltage is divided, whereas the current remains the same. Let us consider a voltage source E with the resistance r1 and r2 connected in series across it. Thus, the voltage across a resistor in a series circuit is equal to the value of that resistor times the total impressed voltage across the series elements divided by the total resistance of the series elements. thanks, sir, it helps me a lot.